The media have been busy for the last day or so analyzing the aftermath of Kusanagi Tsuyoshi’s arrest. Some big numbers are being thrown around as estimates of the cost to the companies that have a financial stake in him. At the time of his arrest he had 7 commercial contracts, 8 regular TV and radio shows and a movie due for release in September. 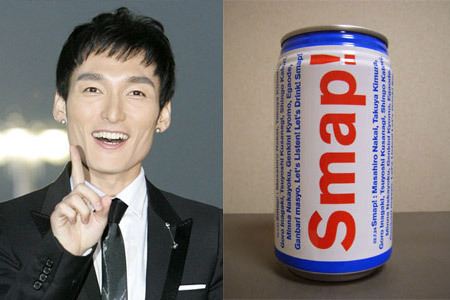 Columnist Himura Masaaki (59) said, “With SMAP being probably Japan’s top talentos, Kusanagi alone would get about ¥50 million for an ad. As a group, their guarantee would be &yen120-150 million. Even just a music tie-up would bring in ¥50 million at a bare minimum.” He estimated that the cost to Johnny’s Jimusho agency just in terms of this lost income would add up to about ¥420 million. But on top of that, with the cost of posters, TV, magazine and newspaper ads, those companies would be looking at losses of ¥500 million each. So Johnny’s could easily be faced with having to compensate sponsors to the degree of ¥5 billion. And then of course there’s disgruntled TV networks and the ongoing effect on future earnings as well. All in all, it turns out to have been a pretty expensive naked romp in the park.